#1 New York Times bestseller! In a mega-stakes, high-suspense race against time, three of the most unlikely and winning heroes Stephen King has ever created try to stop a lone killer from blowing up thousands. "Pays off exuberantly . . . Surprising and invigorating." "Classic Stephen King. Creepy, yet realistic characters that get under your skin and stay there, a compelling story that twists and turns at breakneck speed, and delightful prose that, once again, proves that one of America’s greatest natural storytellers is also one of its finest writers." 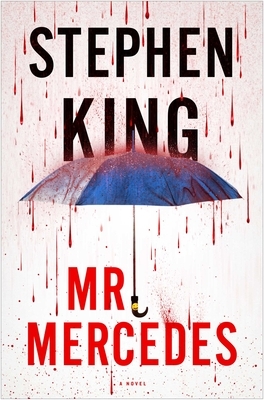 "On one level, Mr. Mercedes is an expertly crafted example of the classic race-against-the-clock thriller. On another, it is a novel of depth and character enriched throughout by the grace notes King provides in such seemingly effortless profusion. It is a rich, resonant, exceptionally readable accomplishment by a man who can write in whatever genre he chooses." "A taut, calibrated thriller . . . The majority of the book is merciless and unforgiving, and the scariest thing about it is how plausible the whole scenario is."